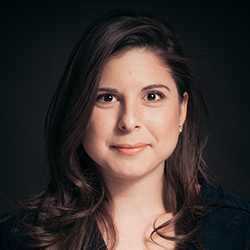 Sara Fischer is a media reporter for Axios, covering media trends. Previously, she was a digital producer for The Washington Post, where she produced and edited segments for live and digital audiences. Sara’s media background includes writing, reporting, subscription and advertising sales, as well as corporate research. She came to The Post from The New York Times where she was part of The Times’ political advertising team. Sara joined The Times from CNN in 2014, where she wrote breaking news stories for CNN Politics and co-authored the network’s political newsletter, Gut Check. Before joining CNN, Sara served as a business development associate at POLITICO, where she helped manage sales operations and client engagement for the company’s advertising team. She holds a Bachelor’s degree from The George Washington University in political communication and a Master’s degree from The George Washington University in legislative affairs. Fischer was chair and presenter for the panel NEWSLETTERS: How email, an almost 50-year-old technology, has become the next big thing for news organizations at ISOJ 2018 on Saturday, April 14 @ 2:30 p.m.